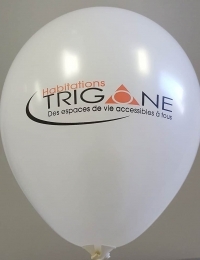 We print custom balloons with company logos and promotional messages in our Boucherville, QC print shop. 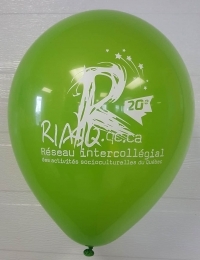 Located on the South Shore of Montreal, we are you local Montreal and Quebec balloon printer. 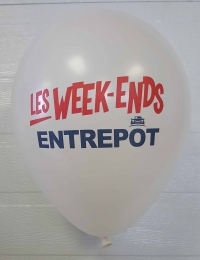 If you’re looking for custom balloons in Montréal, you’ve come to the right place. We understand how difficult it is to plan an event. We also understand how crucial it is that everything works out properly. For this reason, we provide high-quality balloons at affordable costs. We are dedicated and 100% focused on providing superior customer service. 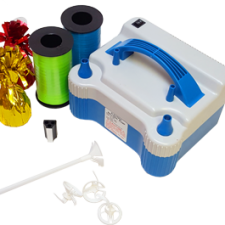 It is our goal to give you the exact balloons you need, without any hassle or inconvenience. 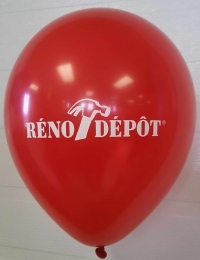 We are the number one manufacturer of custom printed balloons in Montreal – and across Canada and the USA. 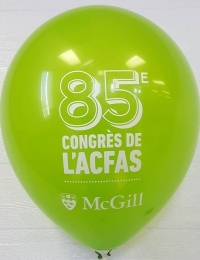 CSA Balloons is Canada’s #1 Balloon Printer – right here in Montréal! 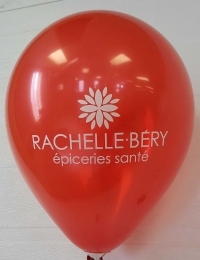 Our Montréal balloon printing plant in Boucherville, Quebec prints personalized logo balloons for companies across North America. 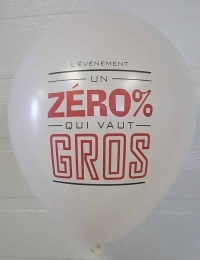 Your order of printed latex or foil balloons will be expertly screen printed on our unique and modern equipment, and can be delivered anywhere in Quebec. 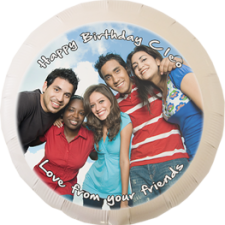 Order your custom printed balloons today and we’ll print your order tomorrow! Upload your artwork now and get a quick quote. 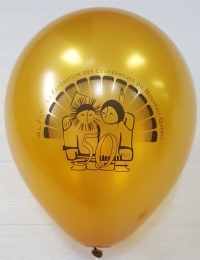 For over 15 years, CSA Balloons has been Montreal’s leader in custom balloon printing, helped by a team of experts and ultra-modern facilities. Our products are renowned for their quality, clarity, accuracy and size of prints. Our custom printed balloons are made of 100% biodegradable latex or mylar, and blend with your decor thanks to our wide selection of colors and finishes (standard, metal and crystal.). We understand the importance of quality and getting the job done right the first time. Call 1-888-950-7878 for quick service in English or French. 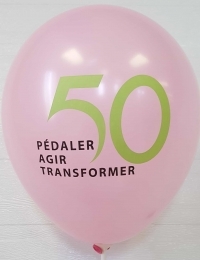 Let’s get started printing balloons for your next event. Want your messaging to be full circle? Double sided balloons mean people see your brand coming and going. Put your logo on one side, add a hashtag on the other that lines up with your latest social media campaign. Our customers love our the clarity of our custom printed balloons. With our printing technology, your logo, the type and images are crisp and clear. We match Pantone colors too. What better way for Canadian companies to reach out to customers than at events? Print your logo or message on Montreal’s most love promotional item and you are ready to grow your business. Put your balloons on a ribbon and let your logo walk through the crowd. 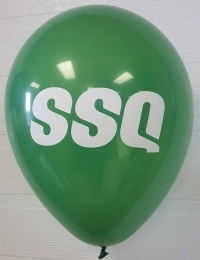 Add a slogan or your current promotional offer and turn your custom printed balloons into min floating billboards. Build a balloon arch and watch the pictures go viral with you logo in prominence. Balloons are a very cost-effective to make a big splash. 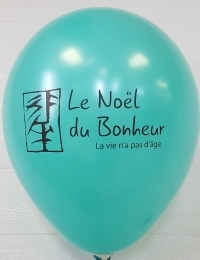 We deliver balloons all over Montréal from our Boucherville printing facility. 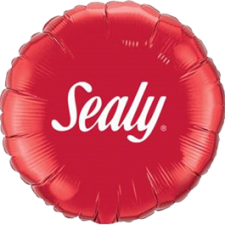 Buying Canadian is quick and easy with custom printed balloons. 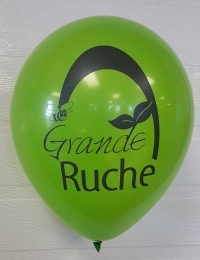 Add drama, color, style and energy to any event with balloons..
From a fundraiser to a campaign to grand opening, balloons are cost effective way to grab attention .Plus our biodegradable latex balloons are eco-friendly. We will match Pantone colors and offer the largest logo imprint in our industry. Custom balloons make every event special. Give us a call at 1-888-950-7878 and let’s get started promoting your event. 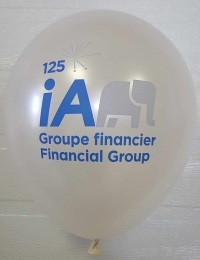 For all your events in Montréal, display your promotional, corporate or festive messages efficiently with our fully customized printed balloons! 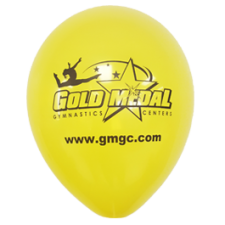 Custom balloons are perfect for company parties, sales promotions, fundraisers, sporting events, and much, much more. 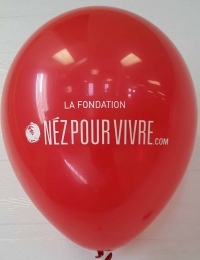 Our Boucherville, Quebec print shop will imprint your business logo on up to 20,000 12” latex balloons in one day. 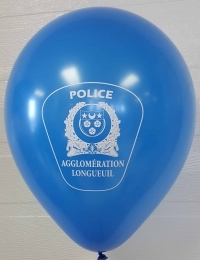 Other balloon sizes are available. 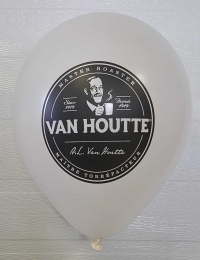 Your custom balloons can be printed, shipped, and delivered to anywhere in Montréal within a day of your order. Buy Canadian! Upload your artwork to get your quick quote. Montréal businesses want the best quality product for their budget. 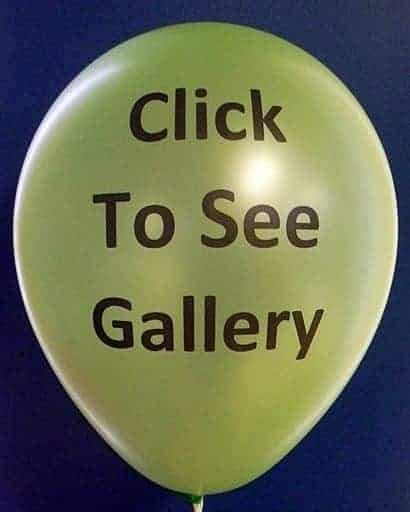 Our balloons are gorgeous – they create drama and add optics for photos interesting enough to share, tweet, post and pin. Event managers enjoy our fast turnaround, world class customer service and reliable, on-time delivery. 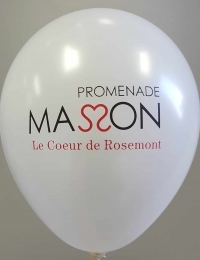 Contact Montréal’s best custom balloon printing company or give us a call at 1-888-950-7878.